Literature exists without boundaries. Recognizing the limitlessness of language, the English Department Ambassadors are dedicated to showing Duke students the powerful manner in which studying English grants us access to a heightened understanding of our own selves and timeless truths of the human psyche. The English Department Ambassadors serve as liaisons for the greater Duke student body and the English Department, hosting campus outreach events to facilitate dialogue between current students, welcome new majors, and encourage prospective Duke students to explore the humanities. 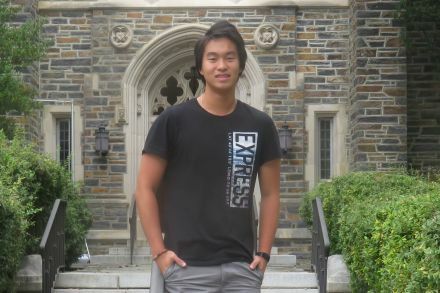 Robin Wang is a junior from Xi'an, China, pursuing degrees in English, Theater, and Finance. While he is a pre-law, he has a lifelong fascination with stories and storytelling. Studying English as a second language, he is most interested in dramatic literature, film, creative writing as well as comparative studies between Chinese and English literature. His works concentrate on pre-20th-century British novels and drama, ancient Greek theater, film history and theory, as well as adaptations. He is currently co-instructing a house course on contemporary world cinema with his fellow Ambassador Alex Sim. Outside of English, Robin is also an award-winning film director and screenwriter, whose films have been screened in Singapore, Atlanta, New York and many other places in the world. His favorite writers/ filmmakers include Shakespeare, Aristophanes, Euripides, Dickens, Kurosawa, De Sica, Farhadi, Mungiu, Dardenne Brothers and many more. Rachel Jeffries is a junior from Denver, Colorado, pursuing a major in English with minors in Medieval and Renaissance Studies and Theater Studies. Her favorite classes at Duke have been in 20th Century American literature and poetry, Shakespeare, and contemporary theater. While studying away at Duke in New York this past summer, she interned with The Drilling Company, a non-profit Shakespeare theater that performs in New York City’s Bryant Park and on the Lower East Side. Outside of the classroom, Rachel is a liturgical minister for the Duke Catholic Center and an avid Cameron Crazie. Jasmin Jin is a junior from Los Angeles, California. 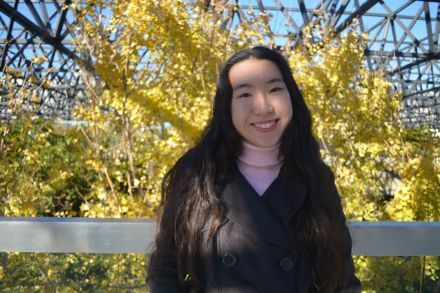 In addition to pursuing a Bachelor’s in English, she is minoring in Korean and Creative Writing. She hopes to make literature more intersectional and diverse. She believes in the power of language to generate social change, and is currently interning in New York with Girls Write Now, a national literary non-profit for underserved young women. She loves reading and writing poetry, as well as analyzing literary works. She would be more than happy to discuss the English major, creative writing at Duke, or books in general! 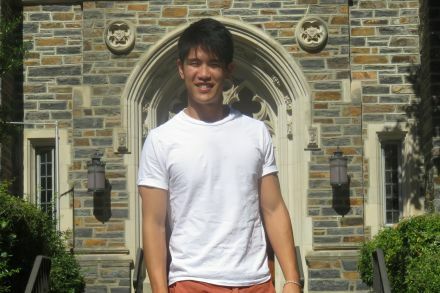 Glenn Huang is a junior from Chicago, Illinois, majoring in English and Computer Science. In English, his interests include twentieth and twenty-first century American literature, with a special emphasis in creative writing. Both his fiction and literary analysis feed on the things he believes are the driving forces behind what it means to be human, especially nostalgia, imagination, and mortality. He intends to pursue a thesis in creative writing that will tackle these issues. Outside of English, Glenn works with the children at George Watts Elementary School, is an editor for the Archive Literary Magazine, serves on the DSG Judiciary, and plays in the Duke Wind Symphony and Saxophone Quartet. Feel free to reach out to Glenn with any questions about English or anything else. Keegan is a junior from Greenville, South Carolina, majoring in English, minoring in Creative Writing, and earning a certificate in Markets and Management. She has worked with the communications department of Duke Libraries in highlighting our school’s unique resources, encouraging readership, and generating excitement about literature. She finds joy and value in being creative in every aspect of her life: from being imaginative with children as the Head of Girls of a summer camp to choreographing for the Dancing Devils to writing songs, poems, and short fiction. English has satisfied her desire to create while allowing her to develop her critical thinking and communication skills, which she believes will be valuable in any profession she pursues. Keegan is currently spending her Fall semester abroad at Queen Mary University of London and welcomes any questions regarding studying abroad, the interplay of English and Business skills, or any creative/literature-related topics! Alex Sim is a junior from San Rafael, California, pursuing degrees in English and Chemistry while preparing to apply to medical school. He is most interested in the thematic intersections between 20th century literature and other artistic media, particularly film and music. Currently, he is co-instructing a house course on contemporary world cinema that focuses on the works of modern auteurs and the roles that they play in challenging filmic tradition and cultural hierarchy. Outside of the classroom, he serves as a research assistant at Duke Orthopedics and as the founder/president of DukeGIVE, a student organization that provides GED tutoring services for residents of Durham County.